No, I didn’t title this post just to be gimmicky. I really do want to know how Balkan this tobacco is. But first, you may be wondering what exactly a Balkan blend is? We have all heard of aromatic and english tobaccos, and many of us are even familiar with a Va/Per. But Balkan is a style of blend that most of us don’t know how to describe. Sure we can guess, but that isn’t very professional or accurate. The official (which is actually quite unofficial) Chris Hopkins (me) definition of Balkan is “a Latakia based blend that contains more Oriental but less Latakia and Virginia leaf than an English style blend.” What this means is that a Balkan is a blend that smokes like a tame English blend, but has more exotic supplemental flavors and less of a smokey body. I don’t know about you, but tin art matters to me. I have never really bought into the ideology that “you can’t judge a book by it’s cover”. I guess that is true for people. But for tobacco (and books for that matter) I think we can usually get a decent guess to the quality of a tobacco by the time and energy the blender and manufacturer put into its presentation. I am crazy about the artwork of Seattle Pipe Club. From the individual posters, to the tins themselves, I love it all. They make me want to smoke tobacco. This Balkan is complex blend of Cyprian Latakia, Spicy Orientals, Luxury Tennessee Burley, Bright Virginias and Perique tobacco. The tin note I got from all these components was a bit more intriguing than I expected. I can smell the sweet and sour nature of the Perique more than anything. But then I immediately pick up the smoke from the Cyprian Latakia and the exotic spices of the Orientals. Something I commend this blend for is the consistency of the cut. Usually with blends that have complex recipes, the individual components have a random, rough, and irregular shape and size. This is not the case with Pike Place. If I had to choose only one thing to say about Pike Place, it would be this: the taste never diminishes. Through the entire bowl I could taste all of the components. This is incredible. Many blends taste fantastic for about 60 seconds before it begins to fade. Some good blends have a great first flavor and then change a bit through the smoke. But proper great blends can be enjoyed through the whole bowl without the smoker losing any of the tobacco’s flavor. 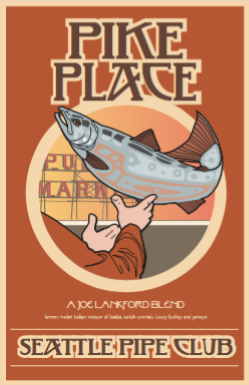 Pike Place is a great blend for this reason. In a conversation I recently had with Matt Guss, one of the founders of the Seattle Pipe Club, he told me that their blends were different–that you could taste the blend all the way through. Even though I took his word for it, I underestimated his words. He wasn’t overstating it. The only other thing I have to say about this blend is that it is a bit magical. While it doesn’t directly remind me of a fish market, it does make me want to be there. It makes me want to see the Seattle skyline. It makes me want to smoke in the brisk moist air of Washington. It makes me want to enjoy it with my local pipe club. I won’t lie. I cannot sit here and tell you that it smells good to everyone. What I can tell you is that as a pipe smoker, it delivers a sensational aroma. It embodies the overall attitude and emotion that we all share for this artistic hobby. Even though an average joe who doesn’t smoke probably won’t walk by you and exclaim “that is an intoxicating aroma!”, you will instantly love it. And that is all that really matters. The first thing I tried to pair with this blend was a disaster. I attempted using a dark roast french pressed coffee. This completely overpowered the tobacco, causing it to lose the flavor I wanted to taste so badly. What I found that went well is…and I know this is going to be weird…apple juice. The sweet texture and faint bite of ice cold apple juice cut through the film of tobacco flavor on my palate. And once I gulped, the flavor of the juice disappeared, allowing me to hit the pipe again and experience the flavor like it was my first time. Here is where I start to wish there was more to this blend. Pike Place is a medium bodied blend. But this blend is on the lower side of medium, which to me is a shame. 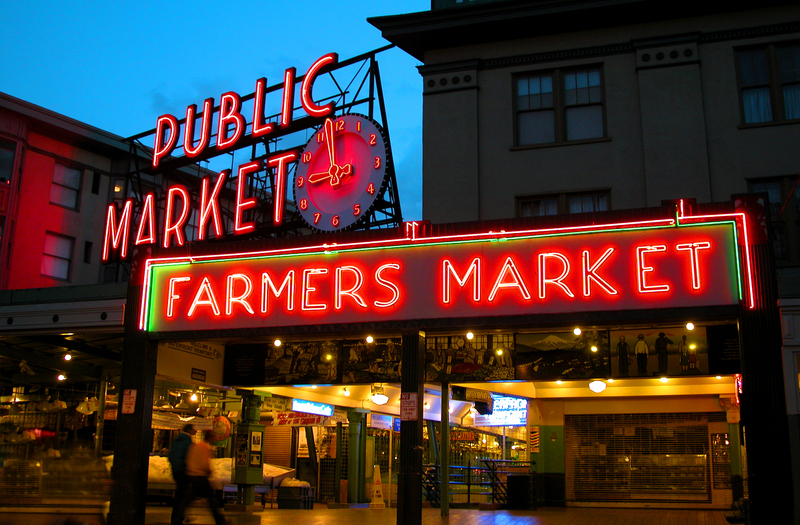 With its long list of specific ingredients, Pike Place deserves to be tasted. And even though I could taste it, and it was delicious, I wish it had a bit more kick to it. I would love this blend much more if it’s intensity was ramped up. So let’s go back to my original question: how Balkan is Pike Place? If I were to be a bit more figurative in my definition of a Balkan, I would say that a bad Balkan would remind me of an English, while a good Balkan is a whole new experience altogether. Pike Place is a blend all its own. It did not remind me of an English blend (or many other Balkans for that matter). So, in my humble opinion, this qualifies Pike Place as an excellent top-shelf Balkan blend. I give Pike Place a score of 7 out of 10. If there was a bit more kick, more of a chance to taste this blend, I would give it an eight (a premium high score). But no matter what this blend lacks, I can’t detract from it’s character. It is a sublime creation. 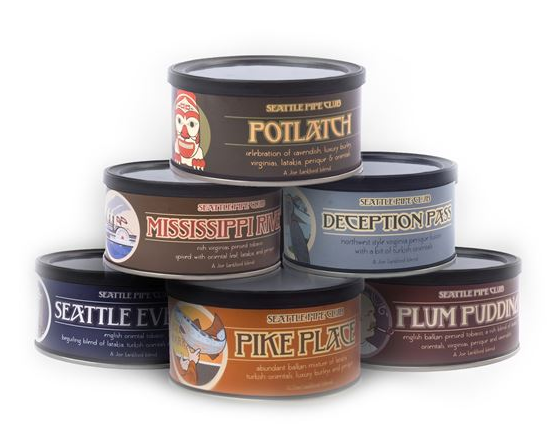 If you are looking for a special tobacco, pick up a tin of Pike Place today! Thank you for your excellent in depth review of Pike Place. I think I learned more about this blend from you than I already knew. It’s always interesting to hear another pipeman’s take on your favorite blend and I think you nailed it! It might be the luxury burley leaf that ties the whole Balkan thing together and gives it a certain character. Joe Lankford has a gift at creating delectable blends. We love it and am happy you enjoyed it too. And funny you should say it paired well with fruit juice! I usually have a glass of Ocean Spray Cranberry/Pomegranate alongside. Thanks Matt, that is a real and meaningful compliment that I will treasure… And yes! Fruit juice is great with it! It is nice to know that I am not crazy. You totally should. I don’t think it is super groundbreaking, but it is a blend that we can enjoy every time. Thanks Chris. I’ll keep my eyes open for it and the other SPC blends next time I’m at my B&M.